Bowl Rest feature 5 speeds 100 Watts Beater eject button. 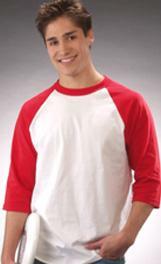 Size : 7.56" x 3.38" x 6.5"
Extra-large 36 oz. 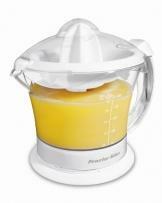 capacity Auto-reverse action for more juicing power Removable pulp strainer Take-to-table detachable pitcher Compact storage. 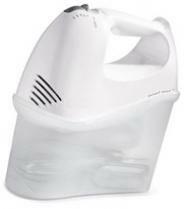 Size : 8.8" x 7.42" x 8.97"
Bowl Rest™ feature 125 Watts Beater eject 5 speeds. 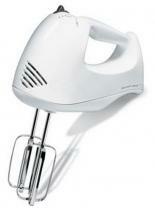 Size : 7.56" x 3.38" x 6.5"
5 speeds, Comfortable handle, Convenient beater eject, Chrome beaters, 100 Watts. Bowl RestTM feature, 5 speeds, Full-size chrome beaters, Beater eject button. 150 watts 5 speeds Full-size traditional chrome beaters Bowl Rest™ mixer stabilizer Unique styling with comfortable handle. Size : 7.58" x 3.26" x 6.49"
120 watts, Easy-to-grip handel, Unique blade guard, Blend, mixes, purees, and chops, Extra-long 5 ft. cord. 120 watts Ergonomic grip Stainless steel blade Extra-long 5 ft. cord. 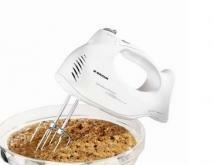 Size : 3.52" x 2.89" x 13.49"
Snap-on storage case 150 Watts/5 speeds Full-size chrome beaters and whisk Bowl Rest feature. Size : 8.76" x 4.12" x 9.07"
Take your drink to go-use the travel lid to drink from the jar, Convenient single-serving size, Great for fruit smoothies, icy drinks, shakes and more, Stainless steel blades, One-touch blending, Easy storage, Less cleaning. 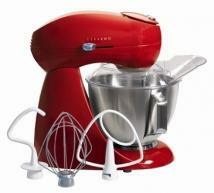 Size : 5.18" x 4.19" x 11.9"
Snap-on storage case, 150 Watts/5 speeds, Full-size chrome beaters and whisk, Bowl RestTM feature. Snap-on storage case 275 Watts peak power 6 speeds Traditional beaters, wire beaters and whisk QuickBurst button Bowl Rest design. Size : 9.37" x 4.84" x 6.92"
Take your drink to go--use the travel lid to drink from the jar, Convenient single-serving size, Great for fruit smoothies, icy drinks, shakes and more, Stainless steel blades, One-touch blending, Easy storage, Less cleaning. 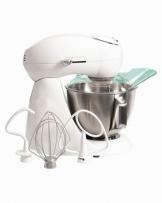 Hide-away cord storage 290 Watts peak power Special slow first speed Traditional beaters & whisk included Bowl Rest feature. 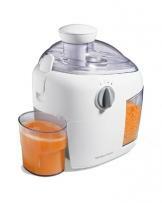 Size : 4.75" x 9.50" x 7.25"
Powerful motor Ice crushing/pulse Stainless steel blades Large plastic jar Easy-pour spout. 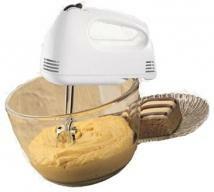 Size : 10" x 7.5" x 11.88"
Easy to use & clean 2 attachments: blending wand & stainless steel power whisk 2-speed nonslip control Comfortable grip Extra-long 5-ft. cord 200 watts. Size: 17.15" x 10.94" x 17.05". Improved blending jar Large 48 oz. 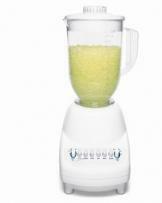 jar 375 Watt motor Counter-stable jar base Stainless steel blades Easy-pour spout. Size: 10" x 7.5" x 11.88". Revolutionary Wave~Action™ System forces mixture down into the blades for smooth results 400 Watt motor Extra-large 56 oz. 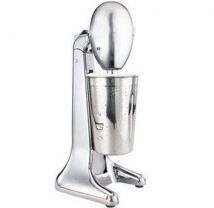 jar 3 year limited warranty Stainless steel Ice Sabre™ blades Sure Rest jar base. Size : 10.13" x 7.75" x 13"
WaveAction System forces mixture down into the blades for smooth results DuraBlend jar with extra-large 56 oz. 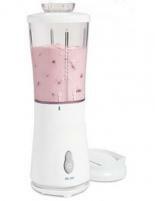 capacity 10 speeds 600 Watts peak power 3 year limited warranty. Size : 10.69" x 8.19" x 13.50"
40 ounce glass jar,Powerful Ice Breaker hi pulse speed SureRest jar base,Updated styling Black Cord wrap,Easy-clean buttons and base,2 ounce measuring filler-cap,400 watts 120V/AC only 3 year limited warranty. Size: 10" x 7.75" x 12.75". 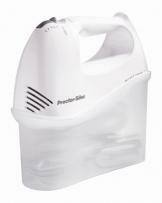 Proctor Silex Malted Maker Mixer Size : 7.88" x 6.38" x 15.25"
WaveAction System forces mixture down into the blades for smooth results,DuraBlend jar with extra-large 56 oz. 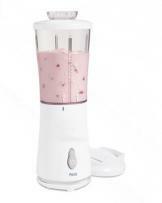 capacity,12 speeds,700 Watts peak power 3 year limited warranty. Size : 10.68" x 8.19" x 13.5"
Drink your fruits and vegetables Powerful 350 Watts & 2 speeds with pulse Large pulp bin is easy to remove & clean All-metal cutter/strainer Large 22 oz. juice cup Brush included for easy cleaning Transparent lid locks easily. 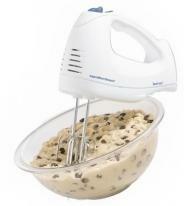 Size : 12.06" x 9" x 12.43"
Classic design with chromed housing, 28 ounce stainless, steel mixing cup, Two speeds, Tiltable mixing head, Easy-clean, detachable spindle, Weighted base provides extra stability, Includes recipes, 70 watts 120V/AC only. 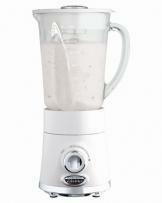 WaveAction system continuously forces mixture down into the blades for smooth results, Stainless Steel Ice-Crushing Blades, Finely crush ice, frozen fruit, and other ingredients for the smoothest results, Powerful 500 watt motor makes the most demanding blending jobs easy, 2 Speed Dial With Pulse, Offers maximum versatility for everything from shakes to smoothies Metal chrome-plated dial improves blending control and adds style, Large 48 Oz. Glass Jar, The perfect size for entertaining and everyday blending needs Sure Rest base sits flat on your countertop or table for easy serving. 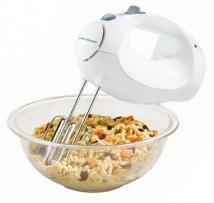 Size : 10.42" x 8.26" x 14.47"
Professional 2-Way Rotating Mixing Action Mixing head orbits around the bowl as beater rotates in the opposite direction for thorough hands-free mixing of ingredients,400 watt motor easily powers through the toughest mixing jobs,400 Watts of High Performance Electronics Ensure constant power for consistent mixing as ingredients are added,12 settings offer mixing flexibility and precise control at every speed Tilt-Up Head & Locking Bowl,Quick-release head tilts up and locks in place for easy bowl access,Bowl locks to base for stable hands-free mixing,2 Piece Pouring Shield For easier addition of ingredients and splatter-free mixing Mixing Accessories,Flat beater, dough hook, and wire whisk mix everything from cookie & bread dough to egg whites and mashed potatoes. Size: 17.15" x 10.94" x 17.05". 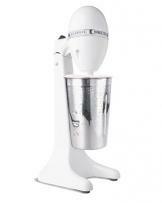 Professional 2-Way Rotating Mixing Action, Mixing head orbits around the bowl as beater rotates in the opposite direction for thorough hands-free mixing of ingredients 400 watt motor easily powers through the toughest mixing jobs, 400 Watts of High Performance Electronics Ensure constant power for consistent mixing as ingredients are added, 12 settings offer mixing flexibility and precise control at every speed, Tilt-Up Head & Locking Bowl Quick-release head tilts up and locks in place for easy bowl access, Bowl locks to base for stable hands-free mixing 2 Piece Pouring Shield For easier addition of ingredients and splatter-free mixing, Mixing Accessories, Flat beater, dough hook, and wire whisk mix everything from cookie & bread dough to egg whites and mashed potatoes. Size : 17.15" x 10.94" x 17.05"